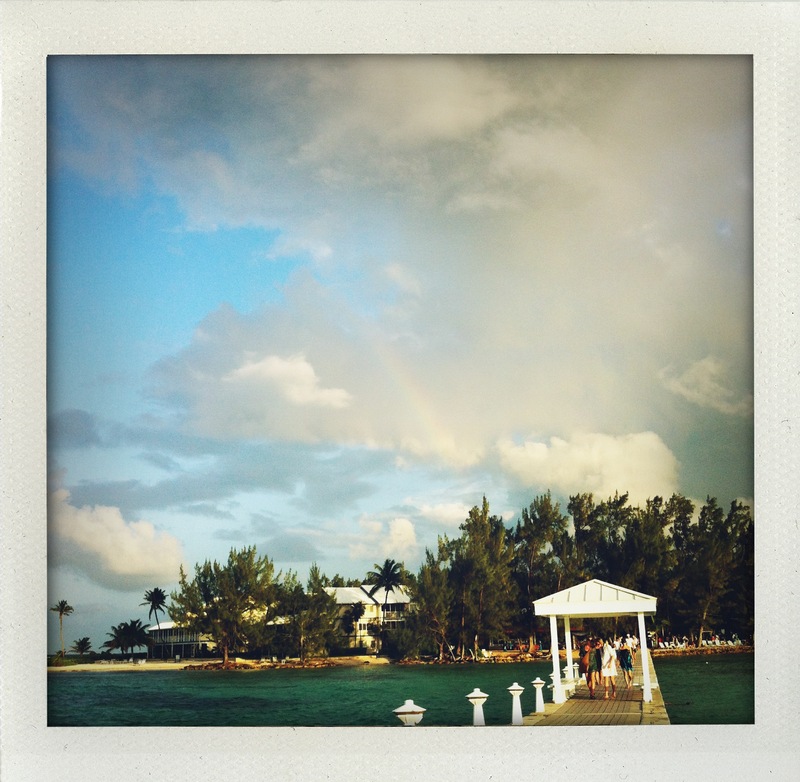 Earlier this month I was fortunate enough to attend the Engage:11 Grand Cayman conference. The Engage conferences are ongoing luxury wedding summits that bring together the best and most influential minds in the wedding industry in a non competitive environment. I had wanted to attend one for years but I was always about to have or had just had a baby every time they were scheduled. I’m so glad I was able to attend this year, though I came home to a daunting pile of emails, editing and a ridiculous bill from AT&T, the experience I had was unforgettable. I was able to hear Carley Roney, Sylvia Winestock, Bryan Rafanelli, Brian and Andy Marcus, Donna Von Breuning and Barbara Corcoran speak, just to name a few. 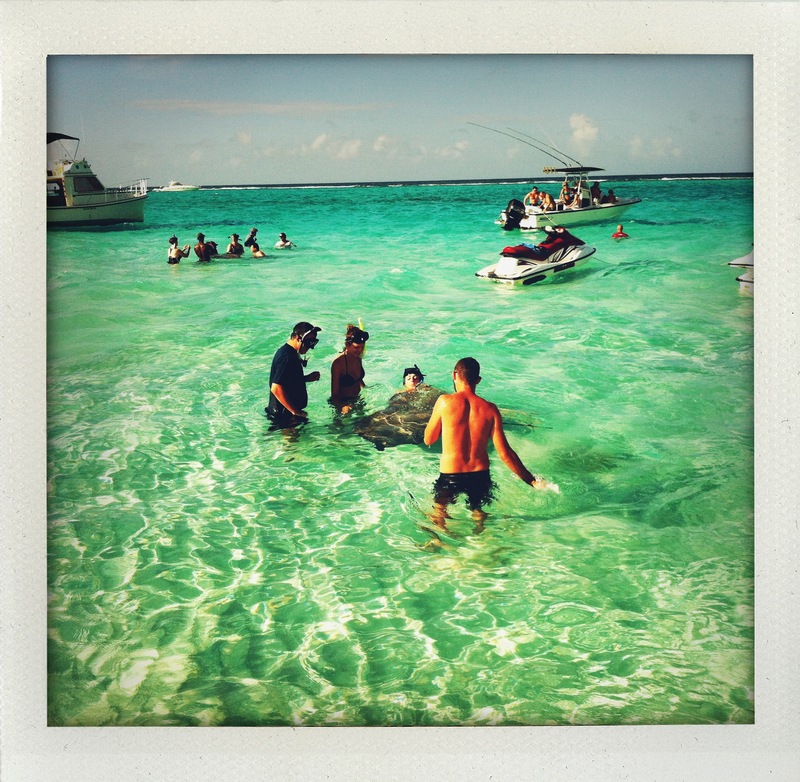 The days were packed full of presentations but we did get a break to sail a catamaran out to a shelf in the ocean where you can swim with stingrays and I got to touch the silky underbelly of a HUGE ray. Very cool. Gately and Mikell’s WED designed glam William Aiken House wedding is featured in the new Winter issue of the Knot Magazine! Grab your copy, engagement season is almost upon us and it’s chock full of gowns, inspiration and great ideas for special wedding details. 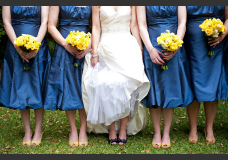 I’m so honored to be in the always impressive Charleston Weddings Magazine! 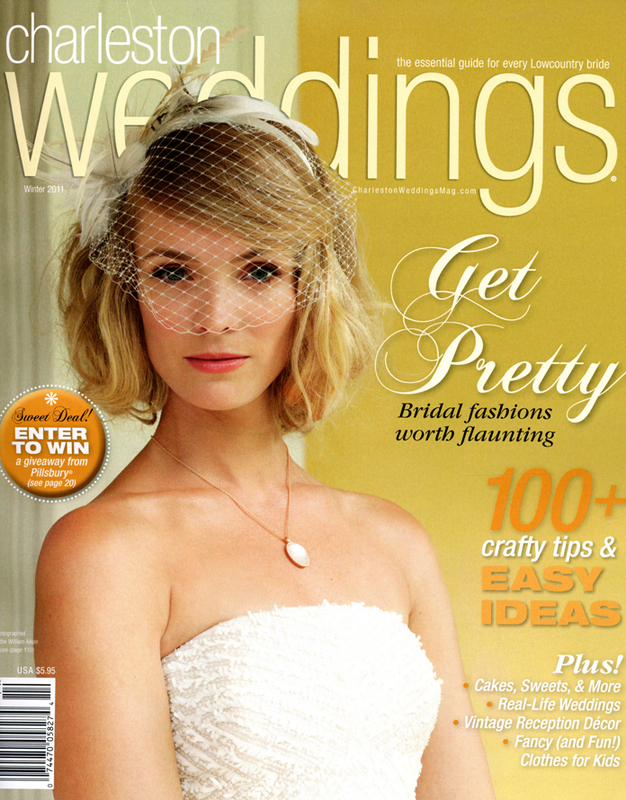 The Winter 2011 issue features Brooke and Chris’ Kiawah wedding AND, surprisingly, notes my blog among “the best” in the local wedding industry! Really? Thanks y’all! The amazing team behind The Wedding Row has created more wedding candy goodness. (Or is it crack, I’m addicted!) Smitten, the Look Book of Wedding Fancy, is an e-glossy that launched last week. Grab a glass of bubbly and give yourself a solid chunk of time to indulge, it’s worth it! I’m honored to be included in the first issue. Lauren and Chad’s Middleton Place Plantation wedding is featured along with some of Sara York Grimshaw’s fabulous floral creations that I was lucky enough to have photographed. Do yourself a favor and check it out! Smitten is DELISH. Beth and Shields’s beautiful William Aiken House wedding is up on The Wedding Row today! Check out the full post on Della’s fantastic blog here. Stacey and Jesse had a fabulous wedding at Charlestowne Landing this fall. They took advantage of the entire property, holding their ceremony under the oaks, cocktail hour on the on the lawn of the Legare Waring House, and then dinner and dancing followed at the fantastically modern Founders Hall. I loved the bright oranges and greens that were set off by the perfectly clear blue sky. The amazing flowers were courtesy of Sara York Grimshaw and all of the other details of the day were laid out by the brilliant team at WED.
Congratulations Stacey and Jesse! Thank you for sharing the day with me! Brooke and Chris were married on October 30th and had some fabulous fall flourishes sprinkled throughout their gorgeous day. Also a SERIOUS candy station set up late night. The seasonal decor was dreamed up by the brilliant team at WED and executed with the help of floral designer extraordinaire Sara York Grimshaw. And the beautiful couple had beautiful weather to boot. Who doesn’t love crisp, cool evenings and fall weddings in the outdoors, especially with a backdrop like Cassique! If you’d like you can see the entire event here. Congratulations Brooke and Chris and thank you for including me in your beautiful day!